...is a mezzo-soprano who sings jazz? ...welcomed daughter Lotus Marie into the world on April 1, 2008? ...is committed to raising awareness, support, and funds for multiple sclerosis research? ...is performing a special one-night engagement at the Baltimore Hippodrome on June 6, 2008 at 8:00pm to benefit the Maryland Center for Multiple Sclerosis at the University of Maryland? Jazz Cabaret with an eclectic collection of Jazz standards and straight ahead jazz, peppered with what Rain Pryor is known for, her own style of comedy and storytelling! As a bonus, Rain collaborates with local Blues Alley veteran, Keith Killgo, for this 'not-to-be-missed' Special Performance! For tickets to Rain Pryor’s performance on June 6, 2008, at the Hippodrome, go to ticketmaster.com or call 1-800-551-SEAT. Let me tell you a little story. Earlier this week, I decided to check out the networking site "LinkedIn". In signing up, I discovered that a number of friends and contacts are already members so I proceeded to the next step in the process and requested a "connection" with those friends. 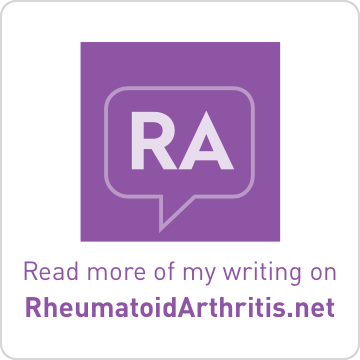 One such friend learned that I have this blog (she already knew that I have MS) and I learned more about her role as the Senior Media Relations Specialist for the University of Maryland Medical Center. So here's where you, my cyper-friends and fellow MSers, come into play. There are still tickets available to "Pryor Experience" ranging in price from $35 to $100. The proceeds go to support one of our great MS Research Centers which lies in the shadow of John Hopkins and Georgetown. Although I haven't been the recipient of their excellent patient services, maybe you have. So what I'm asking is that you help to spread the word about Rain's "Pryor Experience" and inform your readers of an excellent opportunity to partake in a night of Cabaret and Comedy. Please feel free to use the official Press Release below or my version of the PR above. Either way, everybody loves a caberet. Actress, comedienne, author and singer Rain Pryor is a dynamic and award-winning performer, known for roles on both stage and screen. She is also passionate about another role, as an educator and advocate for advances in fighting multiple sclerosis (MS), an illness that her father, comedian Richard Pryor, battled for nearly two decades. Now a Baltimore resident, Ms. Pryor will show her commitment to finding a cure for multiple sclerosis by presenting her one-woman show, “Pryor Experience,” at the Hippodrome theatre on June 6, 2008. The jazz cabaret performance will benefit the Maryland Center for Multiple Sclerosis, a decades-long leader in patient care and innovative research, which is part of the University of Maryland Medical Center and the University of Maryland School of Medicine. “Rain Pryor is a passionate advocate for people with multiple sclerosis, and we are thrilled that she is bringing her talent, enthusiasm and energy to help our center,” says Walter Royal, III, M.D., director of the Maryland Center for Multiple Sclerosis and an associate professor of neurology at the University of Maryland School of Medicine. Richard Pryor was diagnosed with MS in 1986 and died in December 2005. That same year, Ms. Pryor became a national ambassador for the National MS Society. In honor of her dad, she travels around the country speaking and performing to educate people about the disease, treatments and research. Multiple sclerosis is a neurological disease that affects 400,000 Americans. It usually strikes young adults. Twice as many women as men have the disease. In MS, the person’s own immune cells attack the outer membrane covering, or myelin sheath, of nerves of the brain, spinal cord and optic nerves. This causes a wide range of symptoms including tingling, numbness, loss of strength, dizziness, fatigue and visual disturbances, such as double vision. 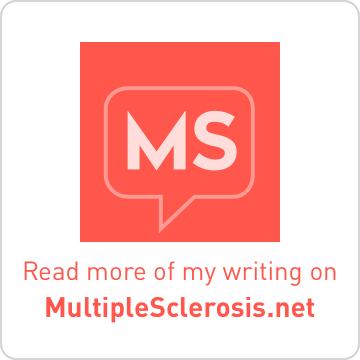 The severity of MS varies greatly among individuals. 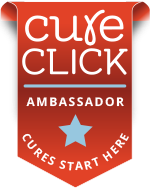 While there is no cure, there are medications that can effectively suppress disease activity and can help patients manage symptoms. The Maryland Center for Multiple Sclerosis offers patients the highest level of care through a multi-disciplinary team of specialists including physicians, nurses, therapists and social workers. Patients receive a comprehensive evaluation and have access to the latest treatment options, including opportunities to participate in clinical trials of new therapies. MS Center physicians include neurologists and neuro-ophthalmologists who specialize in treating MS patients. The MS center also offers physical, occupational and speech therapy, and assessment of swallowing problems through facilities at Kernan Hospital. Nurses also work with patients to educate them about multiple sclerosis and coordinate rehabilitative care and home health services. The Maryland Center for MS also has a comprehensive, nationally recognized research program that tests new drugs and drug combinations and explores other areas of research, including Vitamin D and multiple sclerosis, the use of bone marrow-derived stem cells, novel rehabilitation approaches and the role of B cells and potassium channel function in MS. In the 1990s, University of Maryland MS researchers were national leaders in testing two drugs, Betaseron and Copaxone, which are now widely prescribed in order to reduce the number of relapses and slow the progression of disability for people with MS. Currently, the center is involved in 16 clinical trials of medications for the treatment of multiple sclerosis. Rain Pryor has been a performer her whole life and has had numerous parts in movies and television. In 2004, she created a one-woman show based on her life called “Fried Chicken and Latkes,” an award-winning production that explores issues of race and class from her perspective as a woman with an African American father and a Jewish mother. Ms. Pryor also talks about her life in her book, “Jokes My Father Never Taught Me: Life, Love and Loss with Richard Pryor,” published in 2006. The book received nominations for an NAACP Image Award and the African American Literary Award. For tickets to Rain Pryor’s performance on June 6, 2008, at the Hippodrome, go to http://www.ticketmaster.com/ or call 1-800-551-SEAT. Wish I could go! I will add this to my blog too just in case anyone reads my blog. My husband met her several times as a teenager and remembers her singing voice very well.